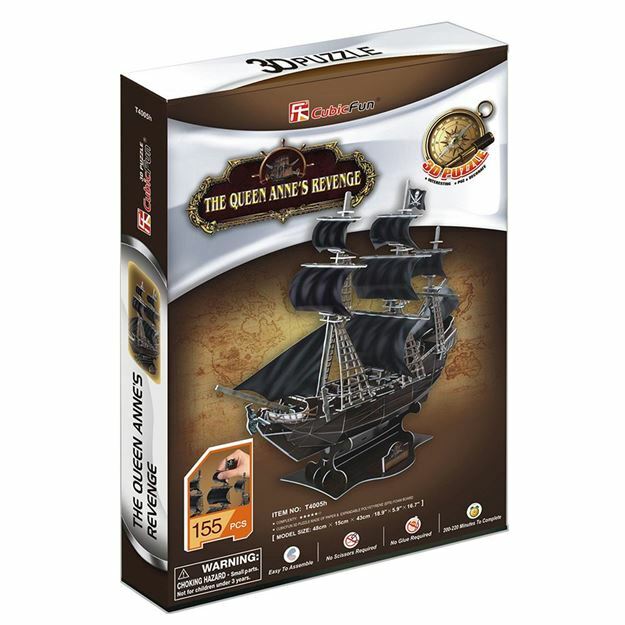 Queen Anne's Revenge was the name of the ship that belonged to Blackbeard the English Pirate. Although he used the ship for less than a year it was an effective tool in his prize taking. In 1718 he grounded the ship at Beaufort Inlet and the ship was destroyed. This 3D puzzle is made of paper and expandable polystyrene foam board, it is easy to assemble without the use of any tools or glue. No of Pieces: 155, Model size: 33cm x 22cm x 4.7cm. Age 8+ years.